Don't be embarrassed by your ill-fitting dentures or missing teeth anymore! Dental implants can restore the beauty and function of your smile! Dental implants are designed to look, feel, and act like your natural teeth. They are a permanent restoration so there's no longer any need to worry about messy pastes, creams, or appliances! If you have been diagnosed with receding gums or are showing signs of gum recession, we may recommend the Pinhole Surgical Technique PST™ to restore your beautiful smile. This is an incision-free procedure that involves loosening the gums and bringing them over the receding area. Welcome to the website of Chula Vista Periodontics! When you visit our office, restoring your oral health is our top priority. Our entire team is dedicated to providing you with the personalized, gentle care that you deserve. Our practice specializes in the diagnosis and treatment of problems and diseases affecting the supporting structures of the teeth and implant dentistry. 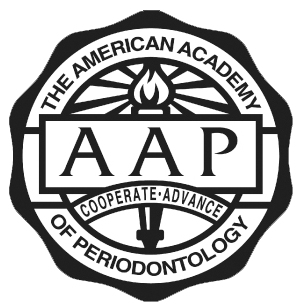 The philosophy of this practice is to provide the highest quality periodontal care in the most ethical, compassionate manner possible and to work with your general dentist to formulate the best periodontal/prosthetic treatment plan for each patient. New patients are always welcome in our practice. We're happy to help you in the event of a dental emergency and we don't require a referral to schedule an appointment in to see Dr. Nguyen. Dr. Susan Nguyen is proud to offer the LANAP Laser treatment, the first and only FDA cleared laser procedure for the treatment of periodontal disease. 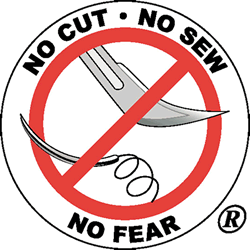 LANAP is the gentle gum surgery alternative that does not require the use of a scalpel or sutures. LANAP utilizes laser technology to gently remove the harmful bacteria that cause gum disease without harming the healthy tissue. If you want to know if you are a candidate for LANAP, call our office today to schedule an appointment for a consultation. Dental implants are considered the best treatment option for missing teeth that have been lost due to gum disease, tooth decay, or injury. Dental implants are surgically placed in the jaw bone where the integrate naturally, forming a strong and permanent restoration. Dental implants are designed to look, feel, and function like your natural teeth! Dental implants and LANAP are state-of-the-art periodontal procedures Dr. Nguyen offers! Susan T. Nguyen, D.D.S., M.S.D.